The Apple iPad should require no introduction. It’s the tablet that set the trend for many of today’s handheld technologies and, yet, it still manages to remain on the cutting edge. Want to get one without paying the full MSRP? Check out these deals on Certified Refurbished models at the Geek Deals store and save hundreds. The Apple iPad 4 is more than a tablet. It’s like a portable computer that’ll keep you connected, productive, and entertained. It can run thousands of apps, features a stunning 9.7” Retina display, 16 GB of internal storage, and Wi-Fi connectivity. Save over $450 with this special offer. The iPad Air 2 is as functional as it is stylish. It offers all the features you’d want in a handheld device — such as the ability to access the web and stream content — while packing enough power to run some of the most processor intensive apps available on the App Store. The iPad Mini 2, measuring at just 7.9”, is small enough to carry around but not so small that your productivity is hindered. It features a stunning Retina display, a generous 16 GB of internal storage, and all the power you need to run a wide range of apps. If an iPhone is too small and the regular 9.7” iPad is too big, then this Apple iPad Mini is just right. It features a brilliant Retina display, two cameras, Siri functionality, and Wi-Fi connectivity so you can use it at home, at the corner coffee shop, or at the office. Need an iPad that’ll let you browse the web and play games with ease? Then the iPad Air 16GB edition will fit you like a glove. It can run thousands of apps, it runs fast and smooth, and it offers 10 hours of operation per charge. The Apple iPad Air is the king of tablets. It can run thousands of apps, has a hefty 8 MP camera, and it’s lightweight so it’s easy to take anywhere. It’s also got a sizable 9.7” screen, a huge 32 GB of internal storage, and a Retina display that renders visually stunning images. Stream movies, play games, and browse the web with ease. 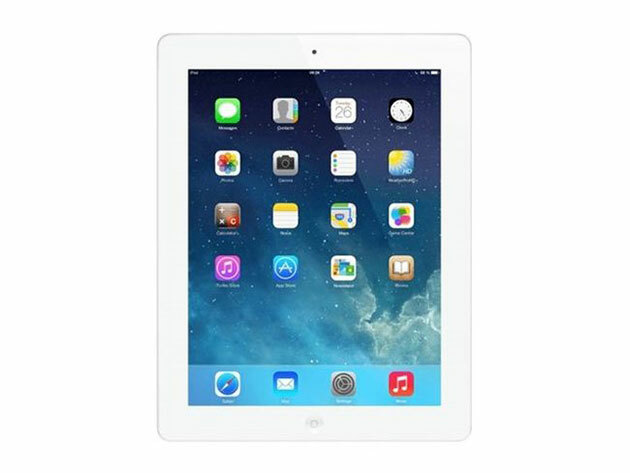 This Apple iPad 3 features a spacious 16 GB of storage, a gorgeous Retina display, a 5 MP iSight camera, and Siri functionality.